For women committed to your babies AND your business, this is YOUR retreat. There's no other experience in the world like #MamaSpringBreak™ Business & Adventure Retreat. This retreat is designed for mama business owners who want to make more money in less time, WHILE keeping your family as your priority and LOVING yourself. It's absolutely possible. Registration is $2,499. Very limited spots left. THANK YOU to our fabulous 2019 Sponsors! Our sponsors support moms, enhance life for families, encourage business smarts and/or enable adventure and healthy living. Attendees enjoy products and/or discounts from each of these brands. Click their logo to check them out. Interested in being a #MamaSpringBreak sponsor? 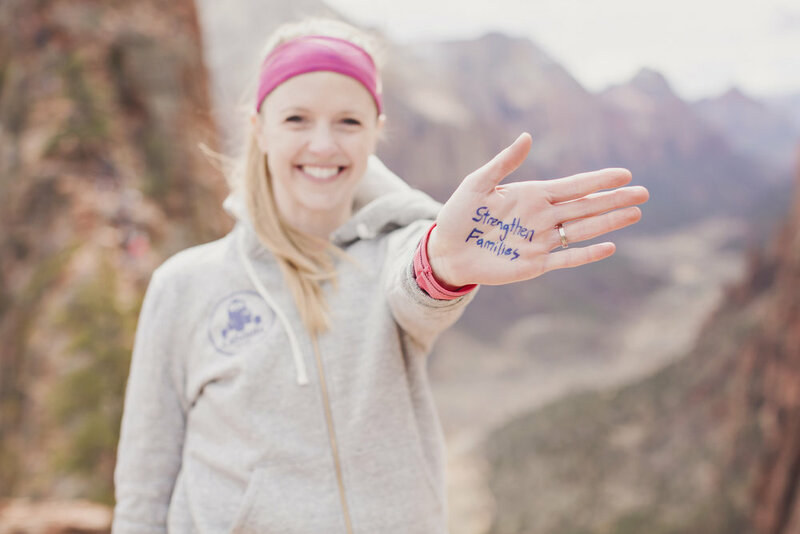 By sponsoring #MamaSpringBreak™ 2019, you are helping mamas climb after their business dreams. We make it worth your while by showcasing your mom-friendly business with a combined social reach of 500K+. Please contact our Event Coordinator for more details: mckell (at) themamaladder.com. ADVENTURE: Hike red-rock Angel's Landing, enjoy a private yoga session, and shake what yo' mama gave ya in our dance party. LODGING: You're covered with lodging for two nights, three days in a beautiful ranch resort lodge near Zion National Park. HEALTHY FOOD: All meals are included, and a yummy collection of healthy snack options. EXCLUSIVE T-SHIRT: Go home with your own super comfy, exclusive event t-shirt. POWERFUL NETWORK: Come ready to build lasting friendships that benefit your business and life. PRIVATE FACEBOOK GROUP: You'll be included in our #MamaSpringBreak™ Alumni Facebook Group for long-term connection to all attendees, so we can keep helping each other climb long after the retreat. Heather Brooker is an actress, comedian, two-time Emmy Award-winning journalist, and host of the Motherhood in Hollywood podcast. She has appeared on TV shows like "Grey’s Anatomy," "The Office," "Fresh Off The Boat," and "The Orville." On her podcast, Heather discusses her two passions — parenting and entertainment — and has a hilariously addicting, tell-it-like-it-is personality. She's currently the Entertainment Reporter for NBC LA and is a top mom influencer in Southern California. She lives in Los Angeles with her husband, daughter and celebrity cat, Gracie I Love You Brooker. "The Essence of Hustle: How to Harness, Execute and Engage Your Business"
We’ll dive into practical tools to hone in on your business brand and goals then layout a plan to reach them. You’ll leave with a fire in your belly and a path to raise your mompreneur status. Our Featured Speakers are mamas, industry leaders, and influencers who are making BIG impact. At this intimate retreat, you have 1:1 access to ask them questions and get to know them! "REDEFINING WEALTH: A BLUEPRINT FOR CREATING SUCCESS ON YOUR OWN TERMS"
We all know intuitively that wealth is more than mere budgets and bank accounts. This soul-searching session will help you identify the six core areas you must build your foundation upon if you have a genuine and burning desire to create a powerful life vision and truly be wealthy in all aspects of your life. Patrice Washington, an award-winning author, transformational speaker, hope-restoring coach, and media personality, is committed to redefining wealth for our generation. Patrice got her start as your favorite personal finance expert, “America’s Money Maven," having tremendous success with her “mindset approach” to personal finance. Patrice believes her greatest accomplishment is marrying her college sweetheart, Gerald Washington and raising their energetic daughter, Reagan. When it comes to starting your own business, there’s a lot that can go wrong! In her straight talk presentation, Lori will introduce her E.A.S.Y. philosophy to building a sustainable business that goes right. She’ll share her personal experiences and the lessons learned while in the trenches of entrepreneurship to help you avoid common pitfalls and to put you on the path to success. Lori Caden is the Co-founder of Belly Bandit®. Lori along with her two sisters, Jodi and Kari founded the company in 2008 with the introduction of the Belly Bandit® Belly Wrap, a postpartum compression wrap that would revolutionize the body after baby marketplace. 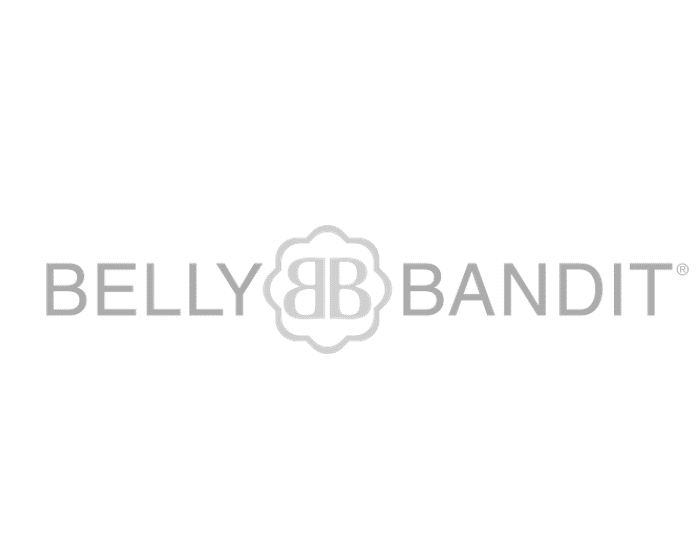 Doctor-recommended and mom-endorsed, the Belly Wrap modernized the ancient practice of belly binding and quickly turned Belly Bandit® into a new mom must-have. Belly Bandit® products are sold in more than 1000 retailers nationwide and over 80 countries worldwide. Lori is also the founder and CEO of Caden Concepts a promotional branding firm. "SOCIAL MEDIA: HOW TO STAY GENUINE, GROW YOUR BRAND, and BUILD COMMUNITY"
Explore ways to navigate, build and promote your brand on social media. Learn to overcome backlash, stay true to your roots, create a community and stay strong but still relatable and vulnerable in your community. Once a cover girl for SHAPE magazine, Maria Kang was a viral sensation in 2013 when she asked the question, “What’s Your Excuse” in a midriff-baring top, alongside her children who were ages three, two, and eight months. Since then she has written a book with Penguin Random House titled, "The No More Excuses Diet" and has built one of the largest Facebook mom communities with more than 325,000 members, No Excuse Moms. She is a nonprofit founder of Fitness without Borders, a business owner of three carehome facilities and a full-time wife, mother and caretaker to a cute golden doodle in Sacramento, CA. She can be found at mariakang.com or gramming her honest-and-often-bold perspective at @mariakang, on a wine date with a girlfriend, or riding her skateboard with her sons at any local park in Sacramento, CA. "CHOOSE YOUR PERSPECTIVE, CHOOSE YOUR STORY"
In this heartfelt presentation, Heidi Swapp shares how telling your story will create the most powerful connections to your family, your audience and most importantly ... yourself. Heidi has built an 18-year-old business around living and documenting a creative life! You may have seen her designer line of pretty things in Michaels. Or perhaps you've heard her raw, brave story of losing her son to suicide in the "Light the Fight" podcast where she and her co-host offer ways parents can help their kids who are struggling. As a mother of five, Heidi's had no shortage of stories to tell, parties and holidays to decorate for… but what Heidi didn’t know was the passion she had been teaching, promoting and creating, was the very thing that would be the greatest source of her own healing and connection in her darkest moments. Find her at heidiswapp.com, and see Insta peeks into her beautiFULL life at @heidiswapp. Our Workshop Speakers come from across the United States and are mamas, business owners, and outstanding experts in their respective fields. They lead you in hands-on workshops where you get things DONE for your business in four key areas: operations, finance, legal, and marketing. Our yoga instructors bring a loving, holistic approach to self-care in sessions with Peace-Filled Mama and SoulSpark Movement. "CHIEF MOM: MAPPING OUT STRATEGIES FOR DAILY SUCCESS"
Operating and managing your own business does NOT have to feel like an obstacle course when you are raising a family. The key to your success is creating measurable goals with practical tools to help you achieve every day with confidence. In this presentation, you explore strategies for prioritizing, goal setting, planning, and discovering a new mindset for progress. Mama of three, Priya is a serial entrepreneur. She is the CEO/Founder of Moms Pump Here, a health and wellness company for nursing moms; the first global online GPS tool and App helping women find, rate and share places to breast pump and breastfeed around the world. She is the Founder and Board Emeritus of the EDGE Charitable Foundation in Miami, Florida & Co-owner of BlueBox Media Video Productions in New York. Priya is radio host of Follow Me Friday with Joan & Priya via Talkradio.nyc, with a flair for gab. TV & YouTube appearances include Stove Tots/Culinary Fight Club, the Chew, Bad Moms Life & YouTube shows produced for Moms Pump Here. Speaking/MC opportunities have included TEDx Lincoln Square. "HOW TO BE ORGANIZED, FOCUSED, FLEXIBLE, MULTI-TASKING DIVA, EVEN WITH A BABY ON YOUR HIP"
Every mama can put systems in place and develop a particular mindset that allow you to take care of your children, yourself, and grow a six-figure business. Learn how this homeschooling mom of five, pastor’s wife, and monkey-mind queen did it herself. She has been an invited guest on the Oprah show, but her biggest claim to fame: homeschooling her five children for more than 22 years! As a certified business coach, Lady T now works exclusively with mom entrepreneurs. She empowers women at TheBusinessCoachforMoms.com to be confident and holistic as you Raise Your Own Children and Run Your Own Business™ . Her book, Mom Entrepreneur Extraordinaire, is a must-have for women who see motherhood and entrepreneurship and say, "bring them BOTH on!" Whether your business revenue is $1,000 per month or $100,000 per month, your growth depends on how well you manage and direct that money. In this hands-on workshop you will learn the power of tracking every penny in order to build your business and grow your wealth. We will create a custom tool for your income and expenses that will show you exactly where your money is and where it needs to go. Business owners who master these skills see immediate and powerful results in their bottom line. Kristy has worked in the tax industry for 11 years, where she has personally prepared over 10,000 business and individual tax returns. She is a proud mom, stepmom, and entrepreneur, running her own business, Pack Tax, while three of her five children are still in diapers. "LEGAL 101: RUN A LEGALLY PROTECTED BUSINESS"
If you're a mama running her own business, or thinking about taking the leap, there is one BIG piece you need to make sure you have in place: the proper legal protections! Without them, you run the risk of exposing your personal assets (like your house, car, personal bank account) to liability, should anything go wrong. Plus, you want to make sure your website follows all privacy regulations, and your client agreements are legally binding. At #MamaSpringBreak, Christy's got you covered. Mama of one, Christy is a licensed California attorney and legal resource for online entrepreneurs and coaches. She graduated at the top of her law school class, and focused her legal studies on intellectual property law. She is also a certified health coach, and has been in your shoes starting a business. Found at ChristyWesterfeld.com, Christy will explain how to protect your website and content, and other legal issues in a way that's easy to understand, not overwhelming, and dare we say ... fun. This interactive workshop will cover the most important legal tips every mompreneur needs to know to legally launch and leverage their business. Mamas will receive training in how to properly create a strong brand identity and conduct trademark "knock out" searches to quickly assess the strength of their business and product names. Ticora is an intellectual property attorney and business strategist and the founder of both The Creator’s Law Firm, a disruptive virtual law firm that helps small business owners protect their smarts, and Revolutionary Creative, an enterprising online community of rebellious creative entrepreneurs. She is known in the industry and beyond for being legally savvy, quick witted and revolutionary in her approach to law, life and leadership. Because of her innovative work, she has been featured on VH1, Black Enterprise and WeddingWorld World. Ticora is on a mission to help women lawyers build disruptive law firms that refuse to pander to the partnership track and strategically scale to multiple six figures. Ever wish you had a map to help you navigate the crazy communication landscape we live in? A map that unifies your message, clarifies your story, and helps you connect with your ideal clients? Now you can! During this session, Stephanie teaches you how to craft your Brand StoryMap and unify your communication. You’ll build a document that organizes your company vision, ideal customer profile, product/service offering, and value proposition into a story structure. This StoryMap guides your future marketing efforts (website content, social media posts, email marketing, etc.) and powers your company to the next level. Stephanie Perrault is an experienced storyteller whose work has been featured nationally and locally. In 2014, tired of splitting life between work and her family, Stephanie resigned her job as a managing editor and ventured into the world of entrepreneurship. She gives other women courage and confidence at CreateConfidently.com - a content marketing and brand storytelling firm - so every female entrepreneur can know how to use the power of story to build and grow her business. "AUTHENTICALLY MARKETING YOUR BRAND ONLINE THROUGH STORY"
Online marketing doesn't have to be complicated, in fact it can be fun! Michelle Knight of Brandmerry.com guides you through a workshop in which you will walk away with a clear understanding of your authentic story, your ideal audience, and the core pillars of your brand that allow you to stand out in the crowded online space. Michelle Knight is a mother, wife, world traveler and storyteller. She built her business Brandmerry.com, letting her leave her 9-to-5 in just nine months with a brand new baby. Now she works as a Branding and Business Mentor for female entrepreneurs ready to show up authentically online and share their story through a captivating and money-making brand. Michelle runs her own brand, Brandmerry.com, and engages regularly with her private community Authentic Brand Builders. Find the space to connect to a practice of self love on your yoga mat and in your life. Caring for ourselves and being able to make space for that care are acts of resistance that fortify the mind and spirit. Connect through movement, breath, writing and discussion to a more loving and compassionate understanding of self. This gentle class focuses on tuning in to our inner voice so that we may each develop an abiding practice of self care. Kelley is a writer, wellness advocate, and community organizer committed to using the tools and philosophies of yoga to cultivate liberation, joy, and peace for herself and others. Her connection to the living practice of yoga, a path of mindful wellness and self realization fuels her work, impacts her life, and propels her to want to share it with others through her writing, events, and guest teaching opportunities. Being a mother of two liberated souls has created a point of focus that brings these tools to the way she is mothering them and also calling her to share this with all parents. Her writing, offerings and more about her can be found at www.peacefilledmama.com. Our vinyasa-style yoga class will be friendly for all levels of yoga experience. We'll move with our breath as Sarah leads us through classic, invigorating yoga poses. You'll feel the strength in your body and open up more in all the right places. Class ends with an empowering guided meditation, calming your mind so that by time we are done you feel blissful and whole. Sarah is a yoga teacher, somatic movement therapist (RSMT), movement analyst (CLMA), speaker, writer, and the founder of SoulSpark Movement. She's been working with women for over 10 years in settings ranging from universities to mental health facilities. Through her transformative work, Sarah helps women find the freedom to connect with themselves and what matters most in their lives. You can learn more about Sarah's work on her website soulsparkmovement.com and on Instagram @soulsparkmovement. Sarah lives in Lindon, Utah, with her favorite people in the world: her amazing husband and their two enthusiastic children. Who Will I meet at this retreat? Each of the following go-getter business mamas are attending retreat sessions in 2019. Check out their passion-fueled companies below. "Learning is not done to you. It's something you choose to do." Mamapreneur mentor to expand your mindset and see yourself as a six-figure business owner ... and beyond! On the first night, bring your moves for a SHAKE What Yo' Mama Gave Ya Dance Party. Cause we like to move it, move it. Wear appropriate clothing and shoes to scale sandy trails. Carry a pack with your water and lunch. We'll picnic at the top. Keep climbing, even when it gets hard. We'll hike for about six hours total, with amazing conversation with your new business besties and breaks along the way. The last day you'll enjoy a soothing private yoga class with a world-class mama yogapreneur. Let's put the "ommm" in MOM. Have questions about this retreat? Sometimes it helps to talk to a human. A kind human. Slip in your info below and we'll give you a call, Mama. Thank you! We’ll be in touch in the next two business days.